I keep a tin of mints in my car for my daily commute, a daily addiction of sorts. Better perhaps than cigarettes or something more toxic, but an addiction nonetheless. Usually, in between all the gear changes, I’m downing mints with the fervor reserved for a Friday drink after a long week. The other day I ran out of mints, then the traffic got bad, and this, and then that. It was one those days where the most infinitesimal of problems becomes an escapable avalanche of frustration. And as insignificant as they are compared actual problems, they become significant because we make them significant. Escape came from ten songs; songs of hope, despair, introspection, and life. 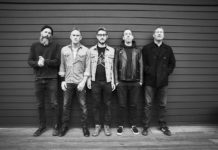 They are the lifeblood that makes up Dave Hause’s new album, Kick, the next chapter in his glorious trek through America’s rock n’ roll heartland. Hause, the lead singer of The Loved Ones (the American one), is no stranger to the genre either. The Loved Ones proved that heartland and punk rock could have a symbiotic relationship, one that would bring rock n’ roll’s blue-collar roots together with punk’s urgency and attitude. Through his solo work, he has pursued a genuine, down-to-earth Americana spread across now four full-length releases. Songs of loss, songs of aspiration and songs that have tried making sense of all the stops and starts of life. His music has always come with honesty and adept songwriting synonymous with the genre’s historic names. But speaking in more contemporary terms, Hause’s work has the kind of magnetic resonance that solidifies his name amongst the current crop of greats like Brian Fallon, Justin Townes Earle, and Jason Isbell. Kick is his best work yet, distilling the unending trials and tribulations of today- post-election divide, depression, global change, and the changing face of the American dream- in 10 bluesy, punk saturated, rock n’ roll songs. As the opening chords of “Eye Aye I” chime in, there is an immediate uplift in mood. 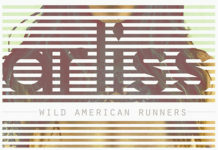 Perhaps it is the Mellencamp-esque tone of the song or that it screams American music for the soul. 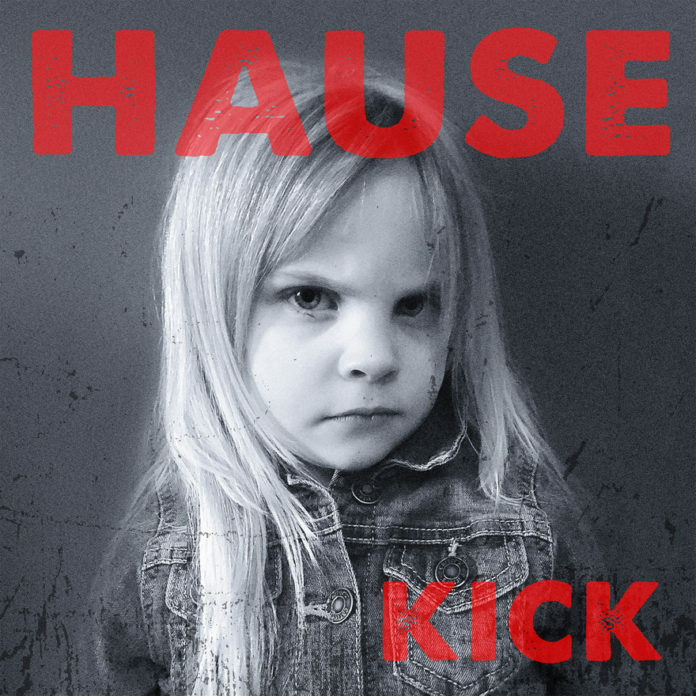 But there’s just something about Hause’s biting introspective take on what it’s like being between young and old (“I can’t tell which one I hate more / the arrogant dumb young opening band or the cashing in old bores“) that paints a humorous look at the endless, and absurdist, generational combat of life. And as Hause sings before the refrain, “we can build a quiet life together / and laugh at how they all get it so wrong“, there is a comfort in knowing that there is some kind of funny futility in it all. 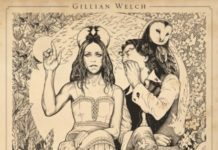 “The Ditch” is a windows-down, highway driving song, buoyed by the carefree spirit of rock n’ roll vagabonds, while “Saboteurs” takes its mid-tempo composition from more restrained confines. It’s got a very New Jersey sound but its glorious refrain takes cues from the big, almost orchestral tones that were made famous by The Who. As the song “Weathervane” kicked in, the traffic hadn’t gotten any better. And there’s something ironic about being stuck in traffic to a song whose up-tempo melodrama sings of “spinnin’ in a middle of a hurricane / spinnin’ like a weathervane now“. But it is Hause’s swaggering vocal delivery and confidence over stomping choruses and melodies that turns small ironies into glorious musical sketches. They soar over highways giving you that feeling even if you’re stationary. If those songs weren’t enough to provoke a serious amount of reflection, then the beautifully serene “Fireflies” surely will. The song is stripped back, mostly just Hause, his guitar, and his harmonica- but it echoes with the heart and reverie of a thousand sunsets; a reminder that sometimes you don’t need anything else but a great voice and a guitar. In this moment everything seems quieter, the sound of musical serenity that blankets the album finding its apex. Missteps are a rarity, spare the occasional like “Civil Lies”, where heartland is replaced with more alternative soundscapes. And while Hause does his best Chris Cornell, it doesn’t quite vibrate with the same magnitude as the rest of the album. Those pickings are small and in the bigger picture, Kick is a wonderful album, a fine examination of soul-searching amongst political and personal discord. Hause has shown poise and grace in his introspection. Some of his musical contemporaries seem burdened by an immense pressure that weighs down their music- you can hear it when you listen to Brian Fallon’s Sleepwalkers. Hause on the other hand, still sings about life’s hardships and the success and failures of growing old but does it with this unmatched spirit. Three chords and a back beat is all you need they say, and with Kick Hause has found a way to embrace it and sing like it will all be OK in the end, even if it really won’t. I’m still stuck in traffic, still don’t have mints, but after these 10 songs, I’m OK with it.